Hibernation is a mystery that kids will greatly enjoy learning about as part of your wintertime homeschooling! 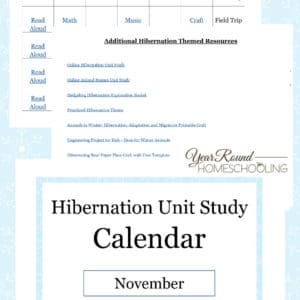 Kids love learning about animals, so this fun Hibernation Unit Study Calendar is sure to be a hit! 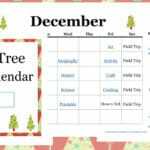 Inside this Hibernation Calendar you’ll find links for every subject to a hibernation themed resource. 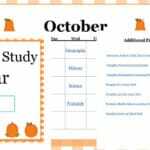 I designed this calendar to make planning a hibernation unit study easy for homeschool moms and fun for the entire family! 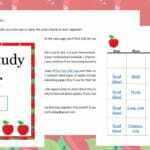 As you study hibernation you’ll sing fun songs about hibernation, read books all about hibernation, play a fun hibernation themed math game and much more!